Whether you want to run an exam or just quiz your students on a recent topic, Education Perfect has a number of options to ensure that you're able to assess your students the way you want. Quick Tests are designed to be similar to quizzes or to quickly gauge the degree of understanding that students have for a given topic. Most Quick Tests are automatically-marked by default, but you can override these marks and choose to withhold results before you release them to students. You're only able to assign one type of content in assessment (e.g. you can't assign a Smart Lesson and a Spelling List together) and you can only assign work together if it's from the same module (i.e. the same folder in the Content Library). To assign Extended Response questions in an assessment, you will need to click on them to preview them, then select Convert to manually-marked assessment. Then select Include question. Once you have set the assessment to be manually marked, you'll be able to add Extended Response questions directly from the Content Picker. Pre-built Assessments are ideal for assessments that are being sat under exam conditions. 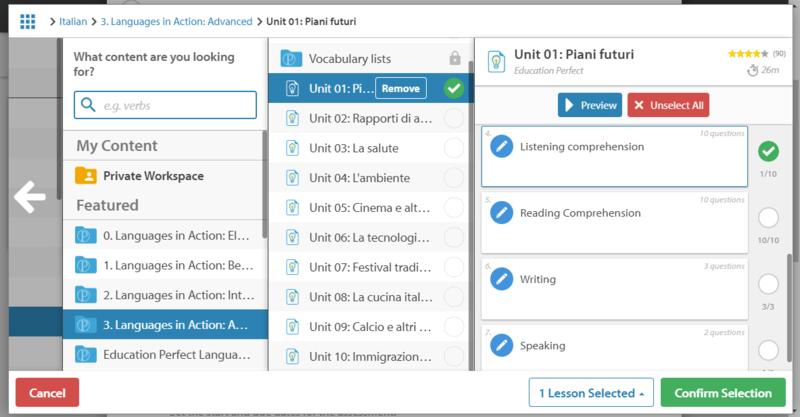 You can set your assessment up to assign recommended content based on your students' performance on different learning areas in the assessment. For more information about assigning remedial work, check out our guide. For full details on how to create your own Exam, check out our guide. Aside form the stand out options with who the assessment is assigned to and when you are setting it for, there are a number of other notable settings. You can require students to use an Access Code to access an assessment. This is useful if you have different groups of students sitting the assessment at different times as it allows you to make sure they can only start it once you have given them the code. You're also able to change this code between sessions. Live Feed is also available. This is a feature that details what each of your students are doing whilst sitting a task. This can be enabled in Monitored Mode when setting up an assessment or task. Text to Speech is a built in screen-reader that students can use to read questions to them. This can be helpful for students with learning impairments. If you're assigning manually-marked work, you have the option of allowing your students to mark it.